I'm back!!! Crazy right!! I usually only post a project once a week, and now I have two posts in one day!! 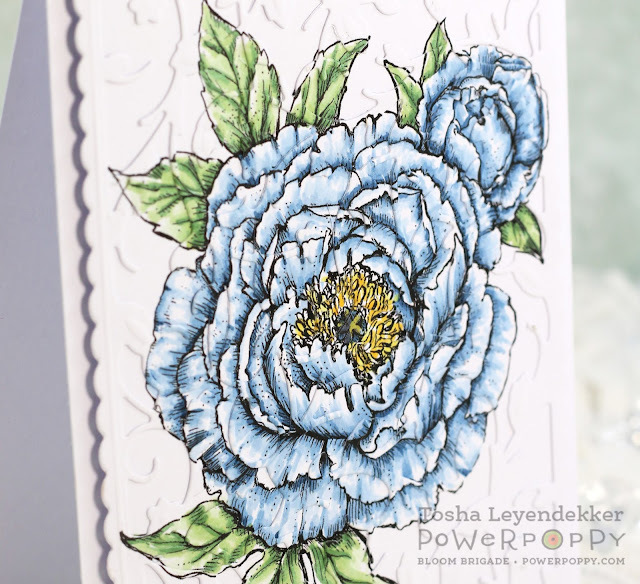 Since it is Friday already, I have a Power Poppy card to share that I made using the Tree Peony digital stamp. This image is just stunning and is so easy to color. I tried something a little different today, and it was super fun. 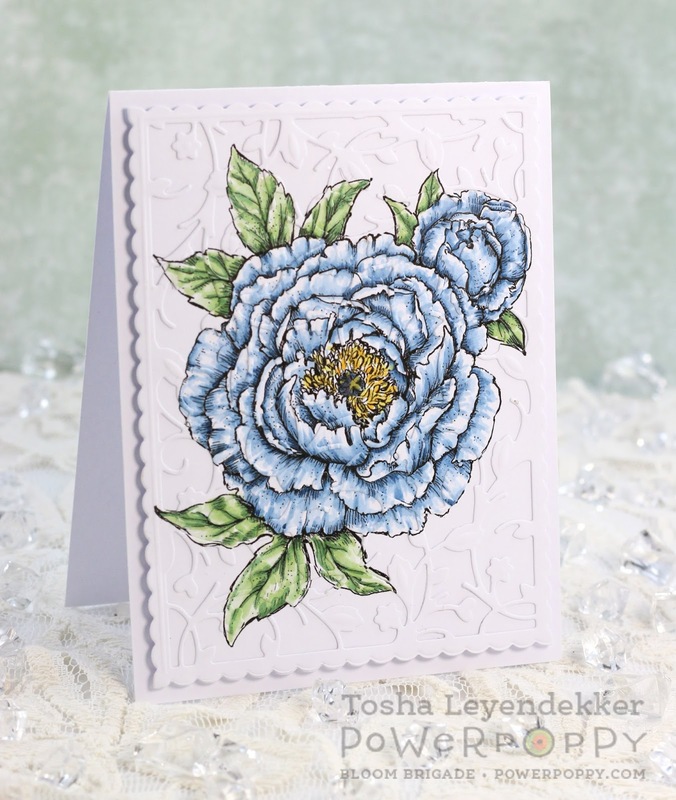 I printed the image out twice, colored both images, and then, using a background die (Budding Vine by Tonic) I diecut right over one of the Tree Peony images. I then glued it right on top of the other image giving it a really cool texture and dimension. I really like how it turned out. It looks even cooler in person. If you click on the image below, it will enlarge even more and you will be able to see the diecuts in the flower even more. That sums up my second project for today. Thank you so much for stopping by! I hope you have a fabulous weekend doing whatever makes you happy!! This card is so lovely. What you did die cutting the second colored flower is a great idea. I can't wait to try it myself. Thanks for sharing! What a great idea! Will have to give it a try. Your card is gorgeous! Thanks for sharing! Gorgeous is right... I do see the texture and wow, very cool Tosh. Love the big bloom and your coloring is beautifully done!